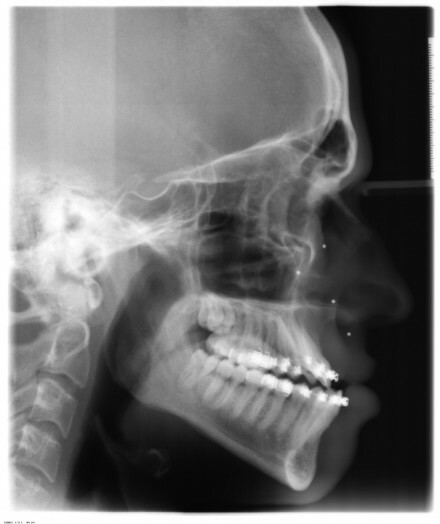 These photos and X-rays were taken both before and after my double jaw surgery experience. They do a decent job of showing the drastic change that took place on the operating table. 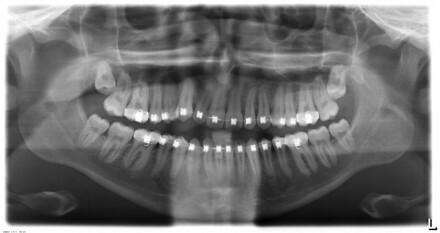 These X-rays show my bite when I first got braces in 2008 and again two years later when my teeth are aligned. The photos demonstrate what I looked like just before having surgery. A few things to note here are how poorly my teeth fit together and the fact that my lower jaw extends beyond my top jaw (ie. underbite). I never realized quite how crooked my bite was before the braces worked their magic. 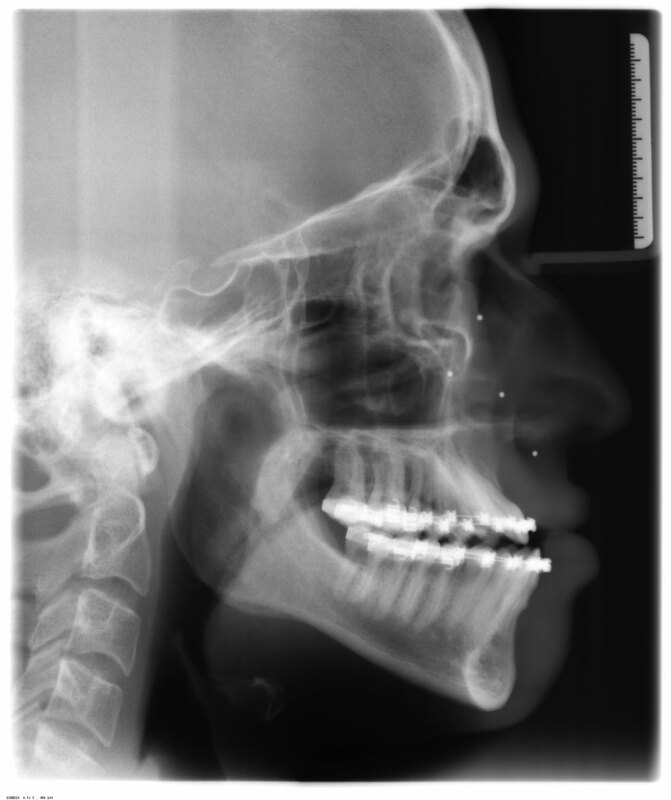 Feb 11, 2008 — I just had braces put on in this X-ray. Notice the underbite! Feb 11, 2008 — Are you convinced my bite was poor enough to warrant surgery now? Feb 9, 2010 — This is after wearing braces for two years. Feb 9, 2010 — I challenge you to try biting an apple, or even a chip, when your front teeth refuse to touch. Feb 9, 2010 — These photos were taken just before having surgery. Notice the underbite and the awkward smile. I look much more confident when I smile. My teeth finally fit together like they’re supposed to. Sadly, my molars aren’t touching on the left-hand side of my mouth. 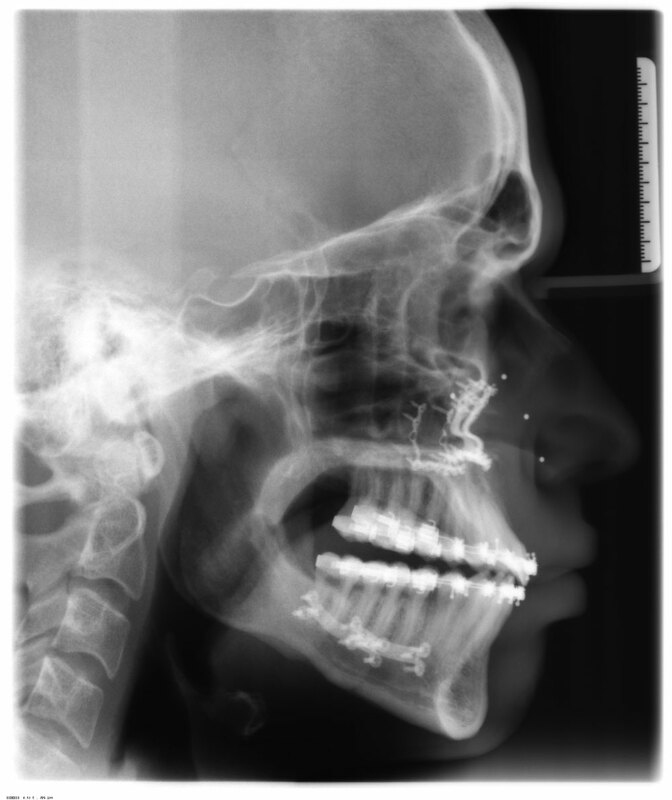 Oh, and I have 8 titanium plates permanently holding my skull together… cyborgs unite! May 10, 2010 — These X-rays were taken three months after surgery. My underbite is no more! May 10, 2010 — My journey to becoming a robot begins here. Jun 22, 2010 — I’m still a bit swollen in these photos, but notice how my upper jaw now sits ahead of my lower jaw. As a bonus, my smile is more confident now! That pretty much sums it up! If you have any questions about jaw surgery, feel free to post them in the comments! Thank you for sharing your journey. It does help mea lot in the preparation for the double jaw surgery. Today is my 3rd day post surgery and I am feeling the tension of the incision and couldn’t sleep well after the surgery. hi,Graham i am having double jaw surgery tommorow and one of my main fears and probably only fear about it is waking up during surgery ? Did this happen to you ? I am getting double jaw surgery in 5 days and I’m extremely nervous. I’m nervous about having permanent nerve damage although my doctor tells me the chances of that happening are very slim since I am young (18) and very healthy. Hi, I have been thinking about doing the surgery to correct my overbite but i have being weight out the risks vs rewards. My doctor told me that i have a higher risk of having permanent numbness as my lower jaw have to be moved out more than the usual. Have u suffered any permanent numbness and if so, is it really bad? Thank you! Thanks for the reply. I have decided to go ahead with the surgery but it will happen only in 2018 as i have to put on braces first for around 1.5 years. How much is your speech affected after the surgery? Im a little concern as i will be doing the surgery amidst my uni days. Thanks in advance. Hi Graham ! Ive read the page . I have some concern that scared me its like as what my dentist told me is a big surgery and dangerous im scared to imagine that i will cut my skull which is a hard bone and the after effect like temporary numbness . What do u mean by frustating ? What amkes u frustated after did surgery ? Leni, the recovery can be frustrating due to being unable to speak clearly and eat solid food for the first month. As long as you have someone to take care of you for the first few weeks, you’ll do great! I’m 10days out from having double jaw surgery… And I’m already over drinking any type of shake. I’m so hungry. Any advice on what the best options for food are? – when did your lips return to normal? – heat or ice for swelling by this point? My lips didn’t return to normal until about 2 months into recovery. You can make your own judgement by looking at my daily mugshots. As for heat versus ice, I was told to use heat as soon as I returned home from the hospital. I found heat soothed my nerves and also helped me fall asleep. Thanks for the advice, I don’t have a splint thankfully. Did you find your swelling went back up at any time? My swelling was really bad for the first 2 weeks, but then it started decreasing noticeably each day. I found the only thing that really caused it to increase temporarily was speaking too much throughout the day. i have read your whole blog but i forget if you ever had to wear elastics on your back teeth. if you did, did they cut your cheeks and what did you do about it? because mine are killing me. 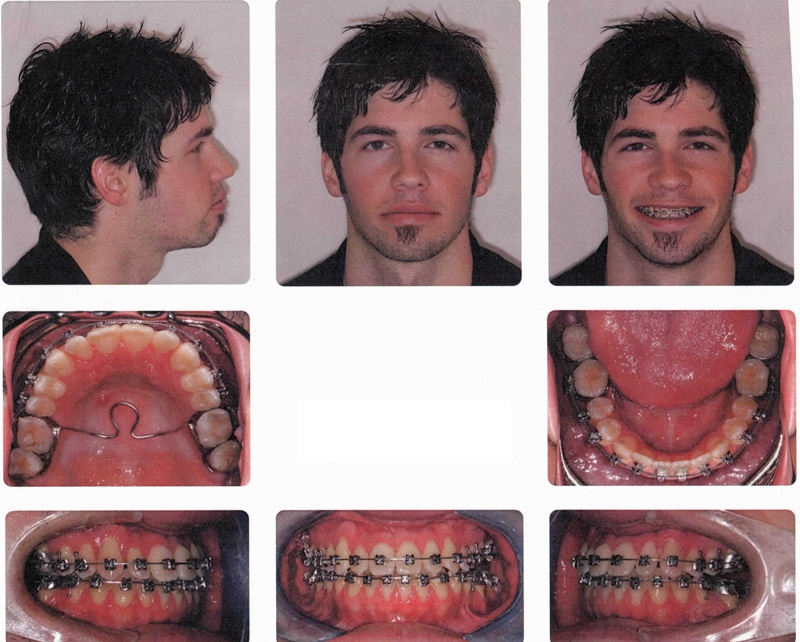 I wore elastics around the braces on my molars, but my braces cut into my cheeks regardless of whether I had the elastics on or not. I think that’s because swelling makes your cheeks puff out, so there’s simply less space between the braces and your cheeks. Hi thanks for replying. my actual braces aren’t hurting me im used to those tears, its only the elastic bands that have been a real problem. my ortho has told me to take them off and let the gashes in my cheek heal, then try again. 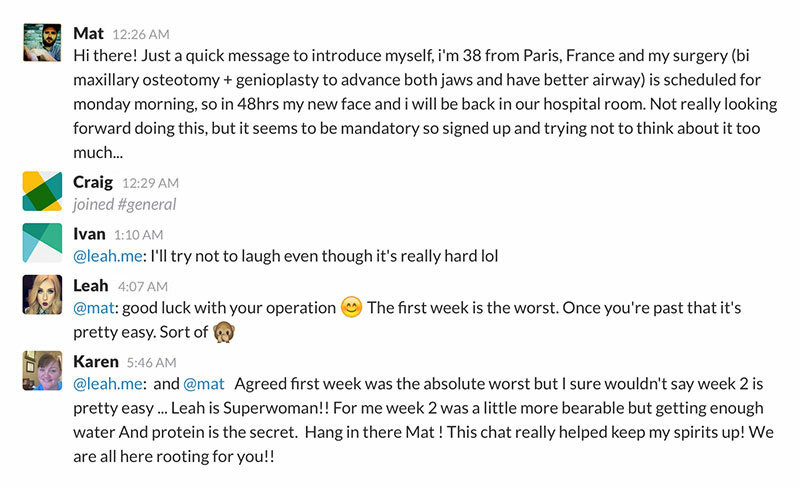 Sarah, I don’t recall my incisions re-opening. If this is happening, it could be due to an infection, especially if there is pain associated with it. I recommend calling your surgeon’s office to ask about this just in case you need an anti-biotic for it. Is that possible to fix the hump in my nose with same surgery! I have class iii and I’m 23 years old. Hi Salman, fixing the shape of your nose may be possible at the same time as fixing your jaw, but I think it will cost extra because it is not related to your jaw. I recommend asking a surgeon about this possibility. hey! it’s not necessarily gonna be fixed by the op, but actually, the little bump in my upper nose was totally straightened out by my double jaw surgery for my underbite. I’m currently 16 days post op and my nose is a smooth slope now 😄. people have actually commented that this change is almost as big as the change to my mouth. 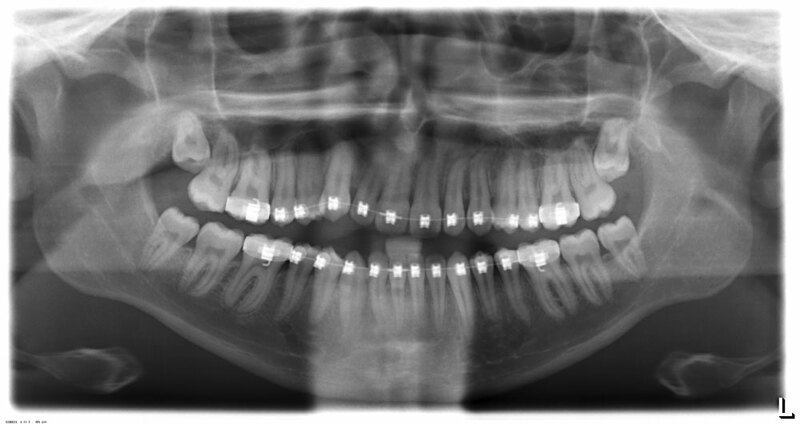 Im confused why the molars on the left side of your mouth aren’t touching, even after the surgery. Did they ever ‘correct’ themselves? Hi DJ, my surgeon was not able to safely move my jaws enough to arrive at a perfect bite. As far as I understand, this surgery, like many, has a bit of give and take to it. If my surgeon had moved my jaw to close my bite, there may have been undue pressure or stress on another part of my face that might have caused other longterm problems. That being said, my open bite did eventually close after a couple of years of patience, so it ended up not being a longterm thing. Did he tell you what those long term problems would have been? 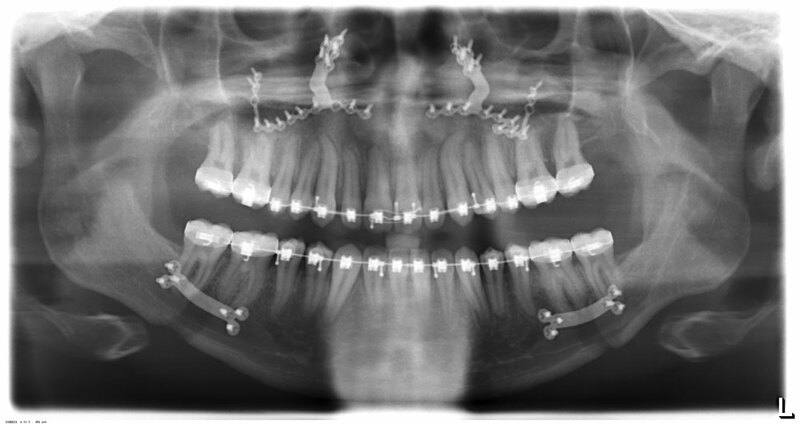 What is that metal loop looking thing by the roof of your mouth in your after surgery pic? Hi TallKnowItAll. 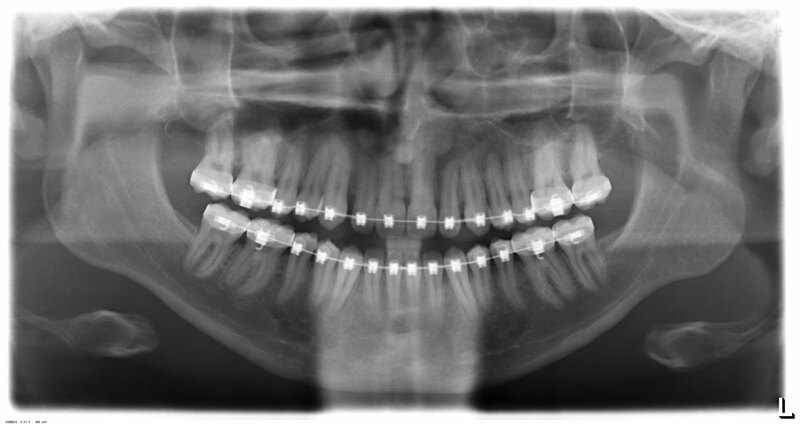 My surgeon said he feared my body would relapse and try to move my jaw back to its former position if he moved it too far. I’m not sure how that plays out medically, but I trusted his opinion on the matter. 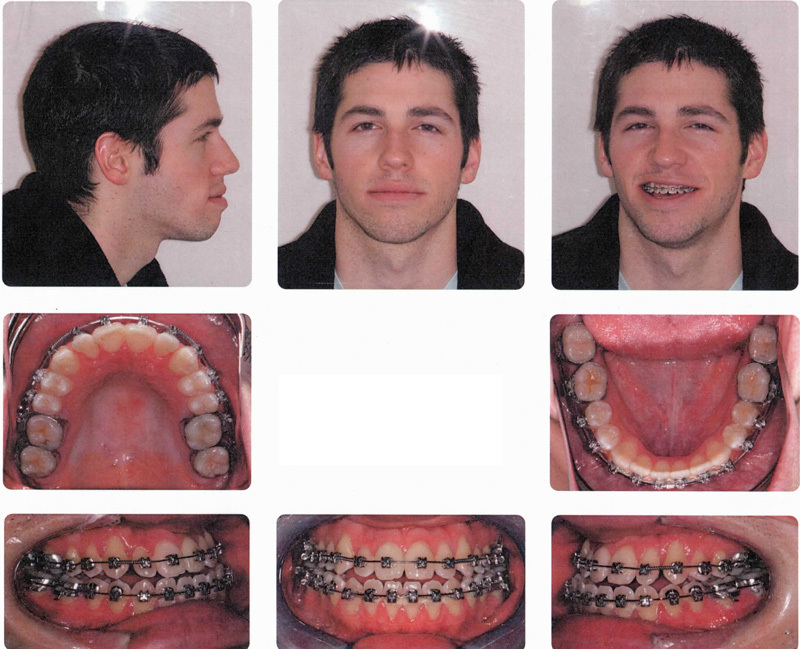 The metal loop was an appliance attached to my braces that served to keep my upper palette expanded until the bone fused back together. Thanks! Did you have SARPE or did he do your palate with a multisegment lefort 1 ? I believe I had a multi segmental Le Fort 1 procedure done, but I’m not completely sure as I never actually asked for the medical names of the procedures. Thanks for the replies!! Just one more question, did they ever get your molars on your left side to touch correctly? Your story about traveling the world, after getting a computer degree, and then meeting your wife is really cool. It kinda makes you realize everything happens for a reason. Had you gone the traditional route and pursued a desk job right after graduation rather than travel the world you would have never met your wife. Pretty crazy to think. The molars on the left side of my bite still have a 2–3mm gap between them, so they do not touch. However, this open bite does not negatively affect any part of my life because I am still able to chew everything without any problems. I’m not sure if my brain adjusted my chewing to compensate or if it’s simply not a problem, but either way it does not bother me. And I’m glad you find my personal story interesting! I had no intention of meeting anyone on that initial trip 4 years ago, but it was a welcome change of plans when it happened. Hope you’re doing well!